Pisces often have the problem not to realize how to restrict emotions. ♓ Strong sympathy or compassion is combined with moon sign Pisces. They possess distinctive intuition and they are susceptible for vibrations. Pisces often have the problem not to realize how to restrict emotions – emotions and mental states of other ones as well. Thus she suffers from these influences and sensitivities and she is most of the times not able to define and afterwards to protect herself. When she may be helpful or cooperative she feels really convenient. She would like to do something good. A lot of persons are susceptible to this attraction of her kind heart. Many persons feel at ease to be in her company – to be her companion. 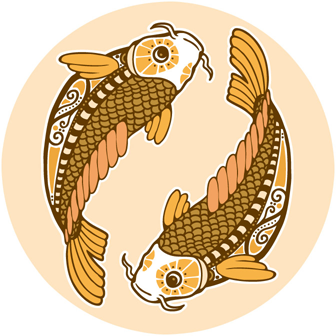 Moon sign Pisces makes it easy to feel convenient and confiding. Within her relationship moon in Pisces is very sensitive and emotional – and seductive, affectionate and romantically. Enjoy togetherness and belief in true love.